The Balaton Uplands National Park runs along the northern shore of Lake Balaton in a 1-15 km wide band, from Balatonszőlős to the Kis-Balaton. The area of the national park (almost 57 000 hectares) includes six former Landscape Protection Areas: Kis-Balaton, Keszthely Mountains, Tapolca Basin, Káli Basin, Pécsely Basin and Tihany Peninsula. 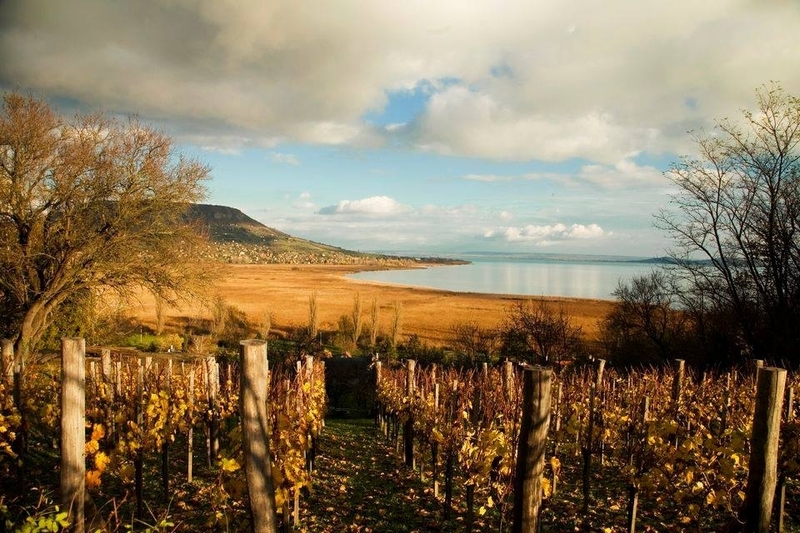 An old dream of the Hungarian nature conservation came true in 1997: a protected ecological system embracing the adjoining area of the Balaton Uplands was established with the connection of the already protected areas which had been separate for a long time. Among its regions Kis-Balaton is also protected by the international Ramsar Convention, serving the protection of wetland habitats. Tihany Peninsula – as a recognition of its outstanding geological values and the work of nature conservation in that region – was awarded of European Diploma in 2003. The national park boasts special natural heritage, with elements that are characteristic only of this area, e.g. the volcanic remnant hills (or buttes) of Tapolca Basin, Kis-Balaton or Lake Balaton. Certain reedbeds and marshy areas of the shoreline of Lake Balaton belong to the national park area. The national park is a storehouse of geological treasures, the different geological eras have left behind characteristic landscapes. We can mention the key sections which are well-known throughout the country (Tihany Peninsula, Fehér part, Aszófő: Farkó-kő); the volcanic remnant hills with characteristic shape; the hot spring cones, caves sinkholes and “seas of stones”, the conservation of which is important for nature protection. The biotic natural heritage of the national park is also rich. This richness, besides this diversity of the base rock and the soils, derives mainly from the fact that the forest steppe vegetation of the lowland areas and the closed broad-leaved forest vegetation of the medium height mountain range meet each other in quite a narrow strip. This meeting zone provides habitat for the associations, plans and animals of both vegetation types – in a strongly mosaic like pattern. Numerous highly protected plants and more than 200 protected plant species (e.g. Cheilanthes marantae, Primula auricula, Primula farinosa, Ophrys insectifera, Ophrys sphecodes, Ophrys fuciflora, Himantoglossum adriaticum, Gladiolus palustris ) live in the Balaton Uplands National Park. The number of protected, rare and interesting animal species amounts to several hundreds. The national park is like an open-air museum with its picturesque landscape and outstanding relics of history. The ruins of medeival churches, just outside the villages, served as the source of building material for recent churches. Many chapels were built on the winehills, most of them raised in honour of Saint Donát. The medeival castles, the remains of the castle of Szigliget or Csobánc, the crumbling castle walls of Hegyes, Rezi, Tátika and Zádorvár radiate the atmosphere of old times.